"thanks, my replacements get stuck often" Alexander chuckled as he said that, Meta knight noticed the blade-like mechanical left leg that went up to his knee. "I'll try to be more careful" he added as he took a cured piece of crabsnake meat and ate it before continuing , "oh and, try to keep me away from anyone if I start to... 'act out' "
Meta Knight dipped his head. "I know what you mean." The blue-haired warrior had his own... dark side... that would show up now and then, leading him on destructive rampages through the entire kingdom. The rampages especially seemed to happen when he was around Kirby for long periods of time... "I'll do my best to help if that should happen to you." Meta Knight froze, his golden eyes turning a bright red. "No, it is NOT 'so EXCITIIIIING'!" he growled, clenching his gloved fists. "Why is Galacta Knight coming here?! He never comes unless he wants to cause trouble!" Meta Knight dipped his head. "Ah, I see..." the blue-haired warrior murmured, his eyes turning a deep grass green. "Of course you may leave, if you need to. The queen does not mind." Kirby just stood there half-listening, looking generally confused, but said nothing to Meta for essentially usurping her position. 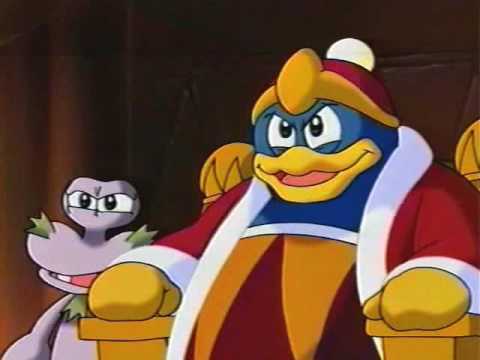 Meta Knight seemed to hold more authority in the kingdom, for some reason, then the queen-- or at least he acted like he did, and Kirby didn't care. Strange. Meta Knight and Kirby didn't even notice Rebecca so this random smexy purple snail boi came up and hugged her instead. "There there," the snail said, patting her. "I won't let those creepy Star Warriors get you." "ESCARGON! STOP WHATEVER YOU'RE DOING NOW!!!!! YOU'RE GOING TO BLOW OUR COVER!!!" A random, rather fat blue penguin in king's garb shouted. Alexander heard the penguin and got his right arm ready to attack, "AND WHAT COVER WOULD THAT BE!" he shouted as electricity sparked off the blade.